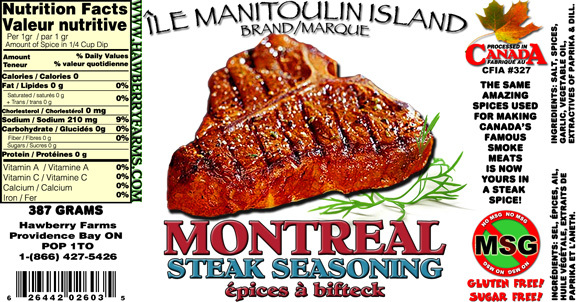 Click the button below to add the Montreal Steak Seasoning to your wish list. INGREDIENTS: Salt, spices, garlic, vegetable oil, extractives of paprika & dill. I truly use with almost any meat. Resonantly I place a healthy amount on a 16 pound Roast of Beef Prime Rib. The flavor it added was just to die for, My wife and I have used it on Chicken legs pork chops steaks anything on the BBQ. Expand your taste buds and experiment. This is so tasty, wish the sodium was a little lower, but I will be buying it again! !